Please arrive 5-10 minutes early so that we can begin meditation peacefully on time. Linda (True Path of Peace) is an ordained Order of Interbeing member. 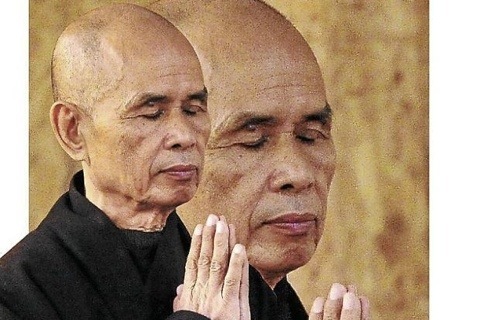 She was ordained by Thich Nhat Hanh on August 15, 2005. I am a graduate student in Stony brook university who live on campus, so could I ask if there is a ride from your place school to on Saturday morning ? Yes, we can find a ride for you. Where on campus are you? We are quite close to the campus. We will pick you up on Saturday mornings if you can tell us that you plan to attend by Friday morning. This is so that we can give ourselves enough time to come and get you. Hello does this center have a residential living? Or student, practice? Yes, the group meets 9am on Saturday mornings, 380 Nicolls Rd in East Setauket. Is the sangha meeting tomorrow morning in Stony Brook? Yes — every Saturday at 9am. We look forward to meeting you. Unitarian Universalist Fellowship, 380 Nicolls Rd Setauket is where we meet. Is that the main thing you do? I mean the mediation on Saturday? Yes — every Saturday morning at 9am. Sitting, walking meditation and dharma sharing. You are most welcome to attend.